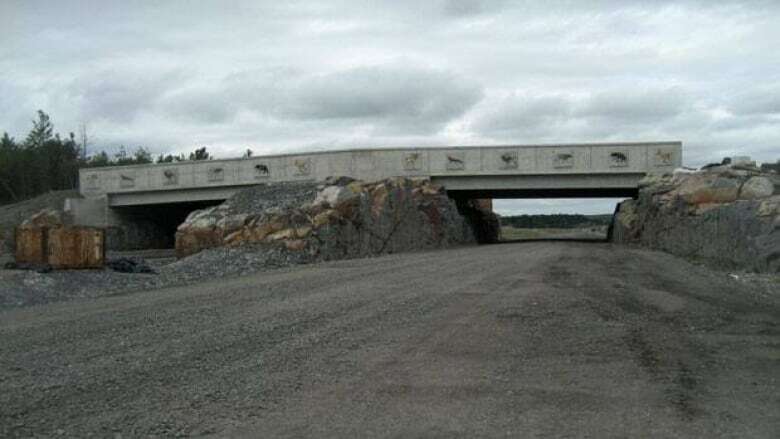 A multi-million-dollar wildlife overpass has been completed on a soon-to-be-opened stretch of highway south of Sudbury. 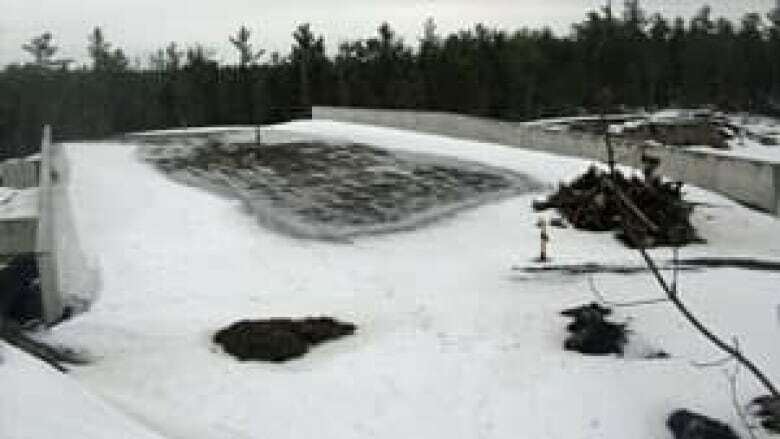 A multi-million-dollar wildlife overpass has been completed south of Sudbury — one that's aimed at local animals. The overpass is the first of its kind in Ontario. It's to make sure wildlife doesn't cross the new section of Highway 69 near the turn-off to Killarney. Andrew Healy, an environmental planner with the Ministry of Transportation, said the overpass is designed to keep animals off a section of the highway that sees an above-average number of collisions between drivers and wildlife. "There's a very high moose population, as well as a re-introduced elk population," Healy said. "So those are large animals that you really don't want to hit with your car." A six-kilometre stretch of fencing will keep wildlife off the road and guide them towards the overpass. A few animals have already used the bridge, even though the fence isn't up yet. Kari Gunson, who works for EcoKare, the company that’s monitoring the bridge, has seen animals testing out the overpass. "The animals are coming around and checking the structure out and learning that it’s there, which is good and positive," Gunson said. The project cost the province $3.9 million. The ministry also plans to install five to 10 wildlife tunnels along Highway 69 — each costing about $1 million. The passages would be used by animals such as deer, lynx or bobcats, so they wouldn't have to cross the road. "In other areas, we're also looking at combining wildlife crossings with snowmobile culverts and just opportunities to allow different kinds of users to get from one side of the highway to the other," Healy said. The first underpass will be on the same section of highway as the wildlife bridge. Both structures are built, but the section of road won't open to motorists until later this summer.